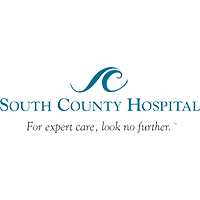 South County Hospital is a 100 bed acute care hospital located in Wakefield, Rhode Island and has more than 1,200 employees. With a focus on lean management, and an effort to make processes as efficient as possible, the hospital began to look for ways to improve password management and reduce the number of support calls to the help desk. The help desk was averaging 20 to 25 password resets a month, each requiring about half an hour to complete due to the arduous process of receiving the call, placing a work order, resetting the password and then contacting the users, most of whom are busy clinicians. By improving this process, the hospital also wanted to enhance the user's experience so they did not have to wait on the process and could easily reset their own passwords and get on with their jobs. When looking for a vendor with a solution to their password management issues, Tools4ever was a front runner as South County had previous experience utilizing another of their products, RealLastLogon. Tools4ever's Self Service Reset Password Manager (SSRPM) would be able to resolve all of the password reset issues in their environment and also integrate with their Outlook web access page, a top priority at the hospital. SSRPM would also be able integrate with Meditech, the hospital information system, to synchronize the password. Although the decision was made to have the integration done as a phase 2 task, the ability to do so in the future was a major consideration. "The helpdesk can now focus on more important issues rather than simple password resets and are much more productive." At SSRPM was installed easily in South County's environment and was able to integrate with all the applications at the hospital. SSRPM is now set up to work with three different applications at the hospital; Outlook Web Access for email, the standard Windows credential provider, when logging onto to the computer, as well as remote web access for people working outside the network. The hospital was even able to modify the security questions which users would be asked when resetting their passwords. "The ability to choose questions that have an answer that only the user would know yet are easy to remember is important" said Ken Hedglen, Information Technology Manager at South County Hospital. With SSRPM, users no longer need to spend precious time contacting the help desk and waiting for a reply to their password reset request. They are now able to answer a series of security questions and quickly reset their own password. The hospital also liked that they did not need to provide any training on the product due to it being self-explanatory. "Any system that we implement that we don't hear anything about after the fact is good, because no news is good news when it comes to systems" said Hedglen. SSRPM has also been beneficial to the helpdesk as they can handle other types of work orders. "The helpdesk can now focus on more important issues rather than simple password resets and are much more productive" said Hedglen.